This entry was posted in News on December 15, 2017 by Kelly. Not only are we so PROUD to announce that Thomas officially has earned a *Pg* from the American Trakehner Association, but he did some serious work at Fair Hill! We love our Thomas. Thomas started 12th after dressage, 5th after Cross Country, ending with a clean show jumping round ultimately taking 3rd place! 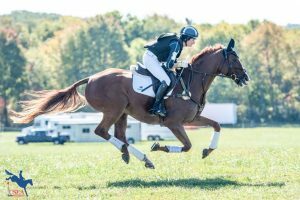 Tsetserleg *Pg* (Thomas) was named by USEF (United States Equestrian Federation) Reserve Champion for the National CCI3* 2017 Eventing Championship! He may be small- but he is mighty! This entry was posted in News on October 16, 2017 by Kelly. We had a pretty great weekend at Stable View, Tsetserleg “Thomas” took 3rd in Advanced, KYRA took 2nd in Intermediate, but, unfortunately On Cue had to be withdrawn as she threw a shoe in warm up. This entry was posted in News and tagged Boyd Martin, KYRA, On Cue, Shows, Stable View, Stadium Jumping, Tsetserleg on October 2, 2017 by Kelly. From all of us at Indian Creek Farm, we want to CONGRATULATE Tim, Nina and Jennie on their accomplishments! Click here to read about the 2017 recipients – Tim/Nina Gardner on their homebred Twilightslastgleam, ridden by Jennie Brannigan, courtesy of Eventing Nation. USEA provides the best description of our grant with Tim and Cheryl Holekamp. Thank you to all who participate in the Young Event Horse program! This entry was posted in News and tagged Le Lion d'Angers, Turner Holekamp Grant, YEH on September 21, 2017 by Kelly. Thomas’ Showjumping round at Richland CIC! This entry was posted in News and tagged Boyd Martin, Thomas, Tsetserleg on September 14, 2017 by Kelly. Here’s a little video from Boyd, schooling with Cue! This entry was posted in News and tagged Boyd Martin, Jump School, On Cue on September 14, 2017 by Kelly. 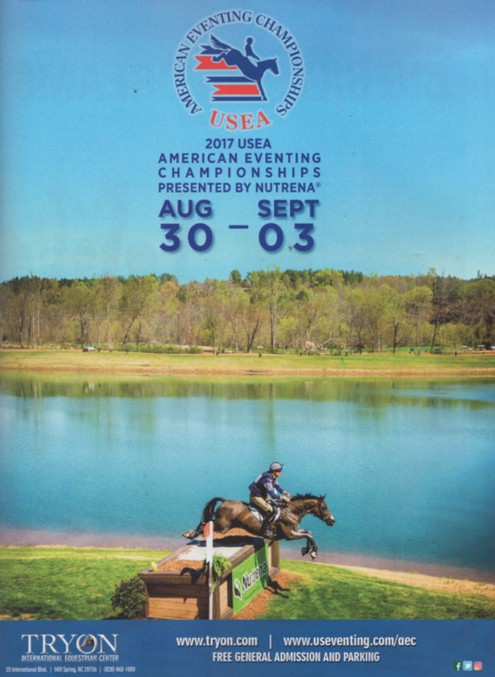 While reading through the new USEA publication, we were ecstatic to find a new advertisement for the AEC’s, featuring our Tsetserleg “Thomas”! Boyd and Thomas are such an awesome team. It is so amazing to watch these two work together. This entry was posted in News and tagged AEC, Boyd Martin, Thomas, Tsetserleg on August 18, 2017 by Kelly. Here is a video of KYRA’s show jumping and dressage test with Boyd at Richland Park. We are always amused by the choice of music for our fiery redhead! This entry was posted in News and tagged Boyd Martin, Dressage, KYRA, Show Jumping on August 11, 2017 by Kelly. Here is an awesome interview by Amber Heintzberger. 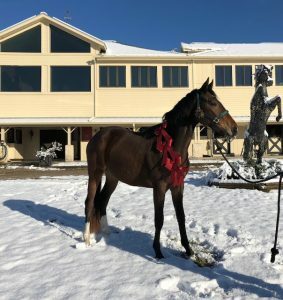 We currently have a three year old filly on her way to Boyd to begin training, and we are SO excited to see how they do! We will keep you updated on her progress as Boyd reports, we call her Xena. Until then, Check out the video where Boyd talks about taking Tsetserleg “Thomas” to a 4* in 2018, On Cue’s progress, and our wild child KYRA. This entry was posted in News and tagged Boyd Martin, Eventing, Interview, KYRA, On Cue, Shows, Tsetserleg on April 11, 2017 by Kelly. The United States Eventing Association has named Halimey Go, Stallion of the Year 2016. That’s two years in a row for our Hal. We are so proud of Buck Davidson, Jr and Hal for completing their first year together as a team, and doing so well! 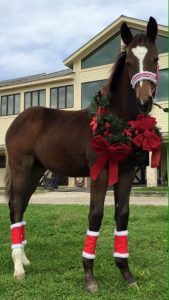 2017 is going to be a great year for our horses and riders, we can feel it. For USEA Overall Awards for 2016 you can click here. This entry was posted in News on December 12, 2016 by Kelly.